Despite threats from an expressway that would have torn through the neighborhood, the impressive cast-iron architecture of SoHo survives today through the concerted efforts of area residents. At the same time, the entire landscape of SoHo was threatened by plans to build the Lower Manhattan Expressway (LOMEX). LOMEX was a proposed ten-lane elevated highway that would connect the Hudson to the East River, but would require the demolition of much of SoHo and Little Italy. Artists in the area collaborated with other preservation advocates in the first, unsuccessful attempt to designate SoHo as a historic district for its architectural significance. Although that failed, they also formed Artists Against the Expressway and ultimately helped defeat the plans for LOMEX, which saved the architecture in the area. In 1973, SoHo was designated an historic district by the New York City Landmarks Preservation Commission, with an extension to the district approved by the Commission in 2010. Several preservation-minded groups have fought to preserve the SoHo area over the years. The first was Artists Against the Expressway (AAE). The concept of the Lower Manhattan Expressway was first developed in the 1930s, but gained more traction in the 1950s and ‘60s. Running along Broome Street, its construction would have destroyed what is now SoHo and Little Italy. The AAE brought together artists and academics in the interest of halting these plans. Julie Finch, resident of SoHo and then-wife of artist Donald Judd, chaired AAE, which organized a letter writing campaign and a public forum. Another group that fought to preserve SoHo was The SoHo Artists Association, made up of artists living where they worked in SoHo. Their residency in SoHo was illegal but overlooked, and they organized to legalize loft living in SoHo. In 1971, the Board of Estimate permitted them to reside in the manufacturing buildings of SoHo. In 1972, they connected with the Department of Sanitation to schedule regular trash pickup once the area was officially considered residential. In addition, the Metropolitan Chapter of the Victorian Society in America was the organization that proposed the recent historic district extension of the SoHo-Cast Iron Historic District, and in doing so hoped to honor Margot Gayle, an expert on cast-iron architecture who was highly involved in SoHo preservation efforts. Archival material related to the preservation of SoHo is held by the SoHo Alliance and the SoHo Memory Project. The New-York Historical Society has an extensive collection of Gayle's papers, focusing on her later preservation activism. Contact the Manuscript Department for more information or click here for the NYHS's "Guide to the Papers of Margot Gayle." City of New York: Landmarks Preservation Commission, “SoHo-Cast Iron Historic District Designation Report,” 1973, page 1. Susie Ranney, “SoHo: Beyond Boutiques and Cast Iron: The Significance, Legacy, and Preservation of the Pioneering Artist Community’s Cultural Heritage,” Master’s thesis: Columbia University, 2012, page 1. “The SAA: Trash Talkin’ and Beat Walkin’,” The SoHo Memory Project. Article retrieved 14 July 2012. Susie Ranney, “SoHo: Beyond Boutiques and Cast Iron: The Significance, Legacy, and Preservation of the Pioneering Artist Community’s Cultural Heritage,” Master’s thesis: Columbia University, 2012, pages 7-11. 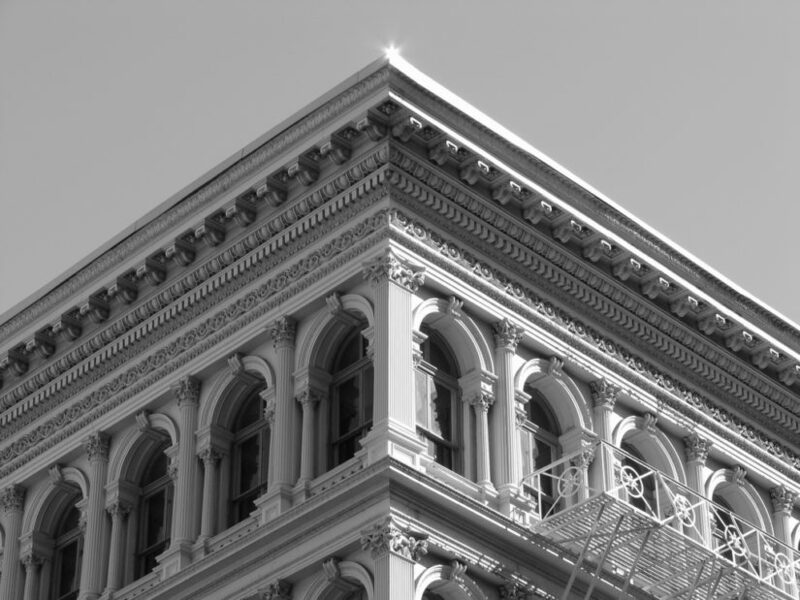 City of New York: Landmarks Preservation Commission, “SoHo-Cast Iron Historic District Designation Report Extension,” 2010. “Keeping Watch: The SoHo Alliance and the Preservation of SoHo,” The SoHo Memory Project. Article retrieved 1 July 2014. Yukie Ohta, ed. The SoHo Memory Project. Article retrieved 24 February 2016.